Pro Dive Cairns is part of the Quicksilver Group of Companies, Australia's leading and most awarded Great Barrier Reef cruise operator. 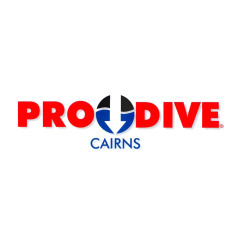 Pro Dive Cairns has been in operation since 1983 and are internationally recognised for their high standards of quality, safety, professionalism and value. Specialising in PADI scuba diving courses from beginner through to professional level, Pro Dive is a PADI 5 Star Dive and Career Development Centre, which means that you'll get the highest standards of dive education available. The modern, purpose built, dive centre provides the best diver training facilities with 3 air-conditioned classrooms and a large, 4 metre deep, heated training pool. Pro Dive operate 3 premium, custom built, multi million dollar liveaboard dive vessels that provide the ideal way to really experience the Great Barrier Reef. These vessels are purpose built, each carrying a maximum of only 32 passengers - all accommodation on board is twin share. The Pro Dive Cairns retail centre is situated in the heart of Cairns and offers the largest range of dive and watersport product available.